I'm doing some practice Roubo bench joints before the real thing. I chose to cut the mortise and then fashion the tenon to fit. In Christopher Schwarz's The Workbench Design Book, he demonstrates the process by cutting the tenon first. I haven't tried Chris' way yet, but I think I'll give it a try. Shaping this tenon to fit the mortise has been a very long process. Part of the problem is me. I've never done this joint before so I've been very tentative in the shaping process. The successive test joints will be done more aggressively. 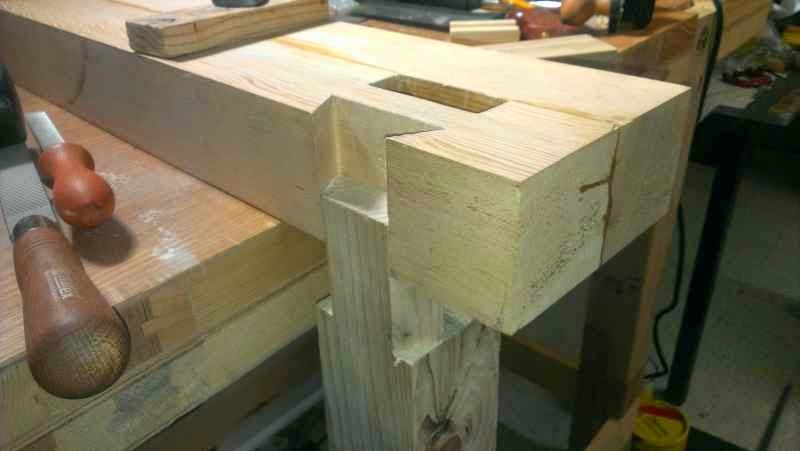 Crafting the joint mortise first is like doing a Rubik's Cube. All 8 faces of the tenon have to be evaluated by eye to see where material needs to be removed. The same can be said for the opposite process, but the grass seems greener on the other side. 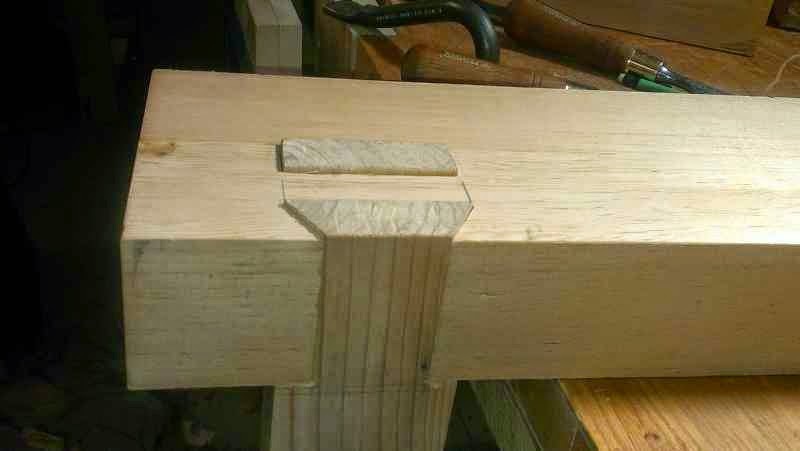 At some point I'll do a tenon-first version of the Roubo joint and hopefully remember to report on it. One, down. Three more to go. One thing I did learn doing this joint that I didn't see in the Workbench book, or online when I googled the joint is to undercut the tenon toward the 'base'. During repeated test fittings it occurred to me that under cutting by a few thousandths of an inch would not hurt the structure at all and would actually help me seat the joint. Once I decided to get more aggressive in shaping, and to undercut, things went a lot smoother with the first test joint.